Libra time brings the time of year that’s good for tending to relationships and diplomacy. The Sun leaves Virgo and enters Libra around September 24 each year. This shift brings both the equinox and a new season (autumn in the northern hemisphere and spring in the southern). By taking us from earth to air, from our bodies to our minds, it offers us opportunities to blend doing with thinking. In the process, we can bring Libra’s love of balance to all aspects of our lives. When the Sun travels through Libra, it brings a diplomatic, strong, and thoughtful energy that asks us to consider others as we conduct ourselves in each area of life. We move away from Virgo’s earthy pragmatism to the Scales’s airy logic, love of partnership, and need for balance. Like the zodiac’s other cardinal signs—Aries, Cancer, and Capricorn—Libra inspires us to take action, often by forming or adjusting relationships. As with astrology’s other air signs—Gemini and Aquarius—Libra insists that we use our intelligence and embrace communication so we can manifest our thoughts in constructive ways by cooperating well with others. Libra is associated with marriage and other partnerships as well as beauty, pleasure, the arts, and socializing; in all these areas, Libra asks us to notice what we find attractive, understand why, and act on our own convictions instead of others’ standards. Libra also asks us to be strong as individuals and dedicated to integrity so we can bring the best of ourselves to relationships rather than depending on others to complete us or manipulating them for shallow ends. For all of us, Libra brings renewed inspiration to evaluate relationships, not only with people but with our bodies and all objects related to our physical lives, the thoughts we choose to think, the feelings we focus on, and the spiritual ideals we hold. 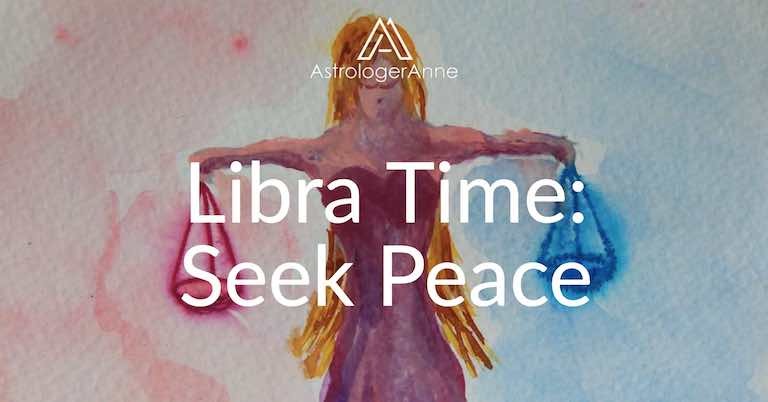 Libra also brings a calming emphasis on the importance of rest and peace so we can slow down, gain clarity when needed, and be true to our own needs while being considerate of others. Libra is ruled by Venus, named for the ancient Roman goddess of love and beauty. This lovely planet is the second brightest object in the night sky, after the Moon. She also is our closest planetary neighbor and the planet most like ours in size and composition, making her a sister planet to Earth. Because Venus’s orbit lies between the Sun and the Earth, from our vantage point she stays close the Sun, never more than 47.8 degrees away; so her position in any astrological chart is never more than two signs away from the Sun’s sign. This physical fact offers us a powerful metaphor for Libra, a sign preoccupied with closeness to others via relationships. Libra’s link with Venus also gives this time of year a soft, languid quality. In the northern hemisphere, autumn begins when the Sun enters Libra, and during this astrological month we experience a gradual slowing down. as Earth transforms herself in preparation for winter. With days growing shorter, we benefit from quieting our lives; as external darkness grows, we must go within to find our inner light. Libra’s symbol, the Scales, emphasizes this annual cycle of balance. After a half-year of greater light and mostly outward focus and growth (as symbolized by nature’s abundance and growth), we need to harvest the best of what we have experienced as food for meditation. 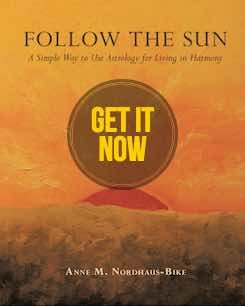 After being more physically active in spring and summer, the time has come to become more inwardly, spiritually active. In this way, we balance our personal scales and harmonize with Libra’s essential energy of stillness and peace. During each year’s Libra time, we feel powerful impulses to strengthen relationships and honor our need for justice. Tune in even more to the Libra zodiac sign with the Libra Meditation.